The hiring manager opens up your cover letter. She looks at it for half a second before kicking it to the recycle bin. Can an address on a cover letter hurt your chance to land the interview? That manager has 100 to 300+ cover letters and resumes to read. She's already not in the best mood. Without knowing her name, there's a whole bag of things you can do wrong, and only a few ways to do it right. You want her to feel good about you from word #1. How to address a cover letter without a name. The #1 way to address a cover letter. Who to address a cover letter to (with four great tricks to learn their name). The top 4 cover letter address mistakes. Here's an example cover letter made with our fast online cover letter tool. Want to write your introduction letter fast? 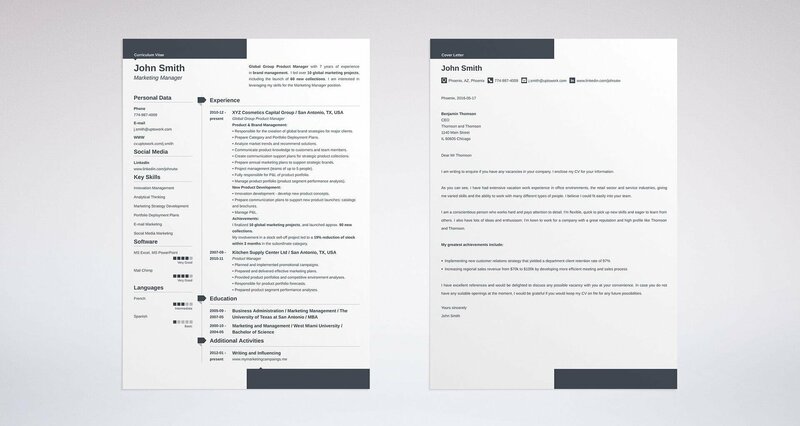 Use our cover letter templates and build your version here. That example of who to address a cover letter to without a name will start your relationship off right. Now let me show you several ways to do it perfectly. One starts, "Dear esteemed gentleman of high regard." To make things worse, your name is Nancy. Can you say Nigerian scam? Of course you won't do anything that silly in a business letter. But if you don't know how to address a cover letter without a name, you may sound almost as tin-eared. The first and easiest way to address a cover letter without a contact? Leave the salutation off and start with the first paragraph. Why does that work for addressing a cover letter to unknown? It avoids the chance to make things worse. Addressing a Cover Letter with "Dear Hiring Manager"
That's another way to start a cover letter introduction right if you don't know the hiring manager's name. In fact, 40% of managers prefer "Dear Hiring Manager" to any other salutation. Is it perfect? No. But it's invisible. It lets the manager get on to the important info in your letter, like why your resume is so amazing. For the best way to address a cover letter with no name, you'll need specifics. I'll show you a career-saving way to do that next. Pro Tip: Should you use "dear" in a cover letter address? It's common and accepted. If you don't like it, leave it off and just say, "Hiring Manager,". Ready to move past the "who do you address a cover letter to" question? Need great tips and advice to write the whole thing? See our guide: "How To Write A Cover Letter [Complete Guide With Examples]"
"This applicant clearly has a brain." What if I gave you a button, and by pushing it, you could make the hiring manager say the words above? If you just want to know how to address your letter without a name, the examples above will work. Address your cover letter to the hiring manager, even if the letter will go through a recruiter. Pow. There's a switch somewhere in the hiring manager's head, and it just flipped to "Pay Attention." Why do those examples for how to address a cover letter work? They show you're not just scattershooting resumes from a potato gun. You actually have some idea what's going on within the company. Pro Tip: Knowing the hiring manager's name is the best tip for addressing a cover letter. I'll show you six fantastic tricks up next. Want to move past how to address a cover letter and on to the first paragraph? See this guide: "How to Start a Cover Letter: Sample & Complete Guide [20+ Examples]"
You addressed your cover letter with "Dear Hiring Manager." The manager pictured a mouthbreather. She folded your resume into a little triangle and flicked it at the trash. Well, that probably won't happen. Still, if you're looking for how to address a cover letter in the best way possible, it's with a name. You know that, but you're not Miss Marple. You don't have time to show the manager's picture around a bunch of coffee shops. Double check the job posting. Make absolutely sure the name's not in it. If it is and you miss it, you'll have enough egg on your face to make a double omelet. Examine the email address in the job description. If it's pfudderman@amible.com, do a Google search for "p fudderman" and "amible.com." Chances are, you'll find your manager's full name. Check LinkedIn. Job offers on LinkedIn often identify the one who did the posting. Also, look at the company page or do a LinkedIn company search. Ask friends. You can use LinkedIn to check if you've got contacts at the company. A Facebook shout-out may work too. If you're six degrees from Kevin Bacon, you're probably even closer to the hiring manager. If the hiring manager has a title like Dr., Professor, Reverend, or Captain, use that in place of a first name. She'll notice the respect and it'll give her a good feeling. Pro Tip: Still can't find the hiring manager's name? Don't panic. Just use one of our excellent tips above for how to address a cover letter without a name. Finished your cover letter and need to close it? See our guide: "How To End A Cover Letter [Complete Guide With Examples]"
How to Address a Cover Letter with Ms. or Mrs. It's full of bite marks. You put them there because you're not sure whether to use "Miss" or "Mrs."
Is she married? Isn't she? You don't want to insult her. Gender rules can make it hard to know who to address a cover letter to. The good news is, "Ms." works great, and doesn't comment on marital status. Don't use "Miss" or "Mrs." unless you know the manager prefers them. You can also use the first name, or the first and last together. Pro Tip: Don't know the recruiter's gender? Names like Pat and Adrian can be tricky. A glance at a LinkedIn profile photo can clear up the confusion. Or use both names. What's the Proper Cover Letter Address Format? You got the job. You're earning a fat paycheck. 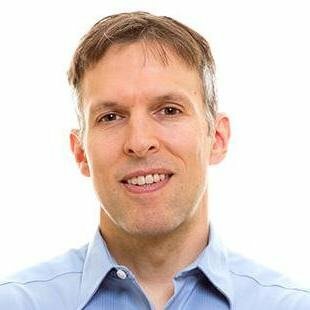 Your quality of life would make Mark Zuckerberg jealous. Is it because you used the right cover letter format? Knowing how to address a cover letter with the proper format is just a way to sidestep looking sloppy. But doing that will help you get the interview. Write your name and address in the upper left. After a line space, write the date. After one more space, write the hiring manager's address. Add one more space and then the salutation. Need to know how to address a cover letter when sending an electronic cover letter? If you're formatting an email, start with a 6-10 word subject line. Use a salutation, add a line space, then begin your letter. 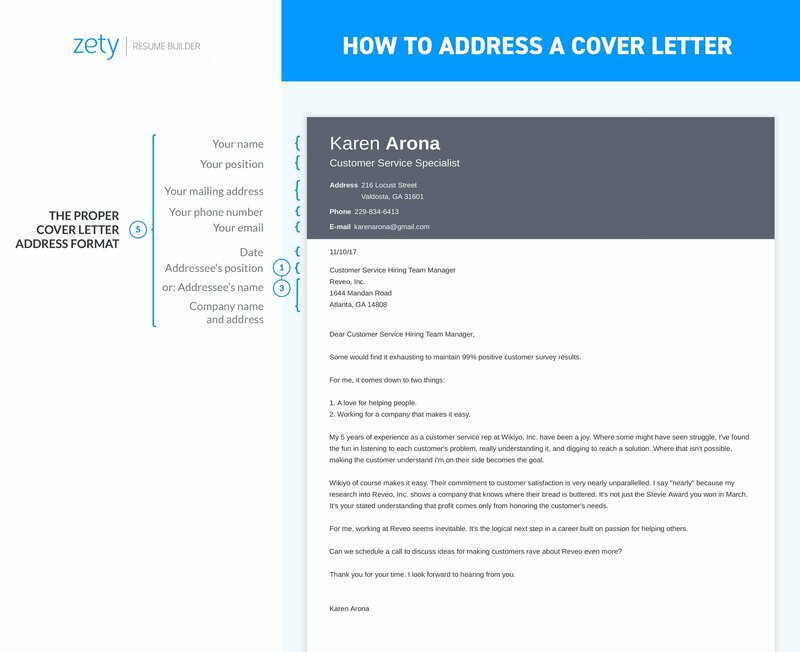 For emails, use that cover letter address format without the address of the company. Pro Tip: There's a trend for modern job applicants to leave out "Dear." There's nothing wrong with doing that. It all comes down to preference. Want to know how to format the rest of your cover letter? See this guide: "Cover Letter Formats: A Complete How-To Guide [10+ Examples]"
Will you sink your chance to land the interview if you don't know how to address a cover letter? But addressing a letter incorrectly sets the wrong tone. It can make the hiring manager doubt you. And that can hurt your chances. Addressing a cover letter with "Hello" or "Hi" comes off too informal. It sends a message that you don't quite grasp the rules. The exclamation point is a bonus no-no. Don't use "Dear Sir or Madam" when you don't know who to address a cover letter to. Not unless you're applying for a position back in 1895. "To Whom it May Concern" in a cover letter salutation may seem old fashioned or even archaic. Some managers (about 25%) claim they like the "To Whom it May Concern" cover letter address. The trouble is, the other 75% don't. That last example looks fine at first. But the hiring manager might not be in HR. She might be the head of Accounting, or the company CEO. If you know the HR director is handling the talent search, you probably know her name. Use that instead. Pro Tip: Be rigorous with spell-checking. Nothing shows you don't know how to address a cover letter like botching the manager's name. Writing a cover letter for an internship position? See our guide: "How to Write a Cover Letter For an Internship [+20 Examples]"
Knowing how to address a cover letter is the first step to starting off on the right foot. The best tip when you don't know who to address a cover letter to? Learn the name. LinkedIn, Google, and the company receptionist can help. To address a cover letter without a name, use some variation of, "Dear Software Team Hiring Manager." You can also use, "Dear Hiring Manager" if the addressee really is unknown. Remember that "To Whom It May Concern" is an old-fashioned salutation for cover letters. It also feels very impersonal. Use titles like Dr., Professor, Captain, Reverend, Ms., or Mr. when you can. Want to know more about how to address a cover letter? Maybe you found the best way to address a cover letter? Do you think to whom it may concern cover letters are a thing of the past? Give us a shout in the comments! We love to help!